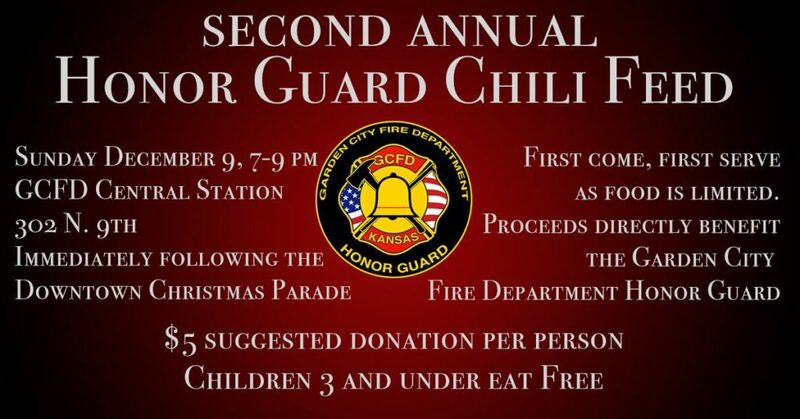 Come join us Sunday, December 9th from 7-9 pm for our second annual Chili Feed Fundraiser. $5 suggested donation, children 3 and under and all on-duty public safety personnel eat free. Parking available of 8th and 9th streets. Enter on 8th street side.